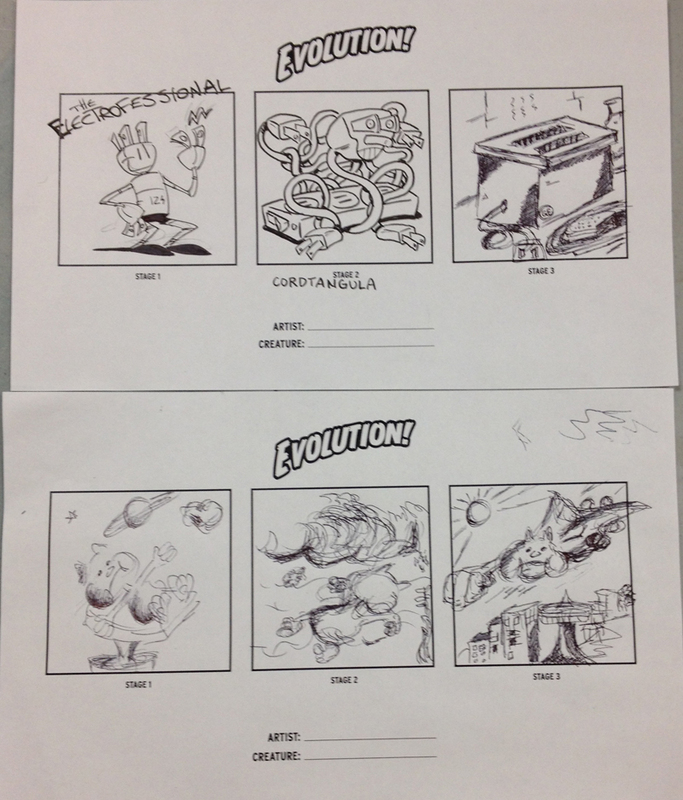 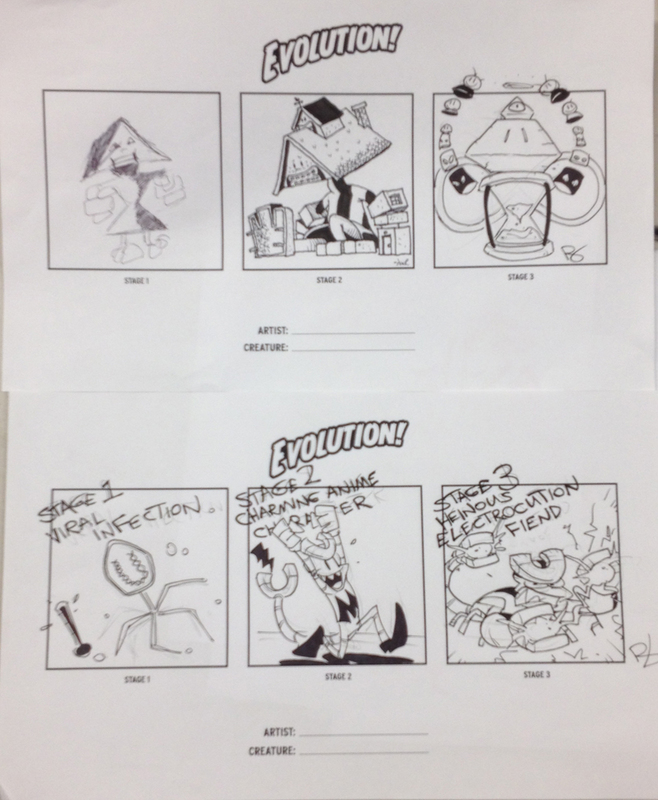 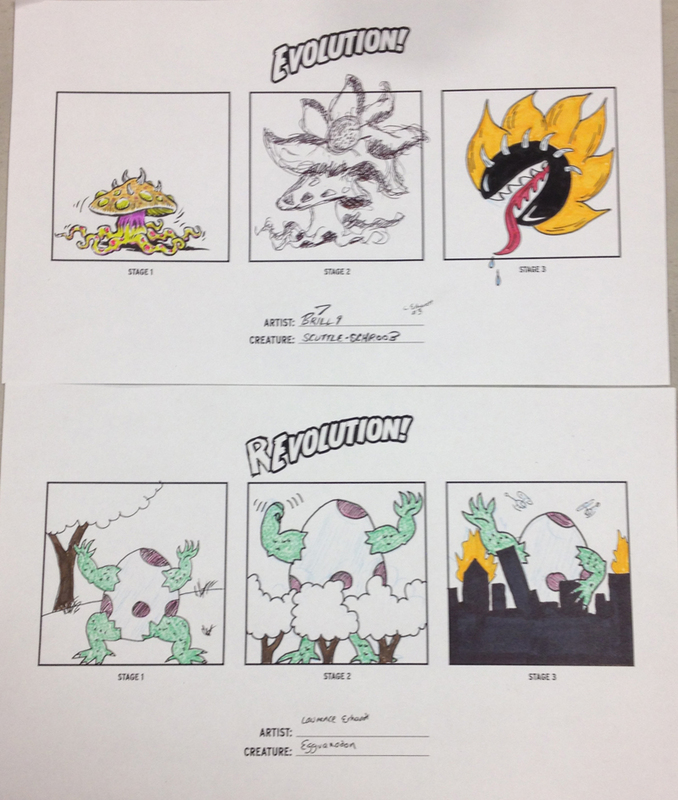 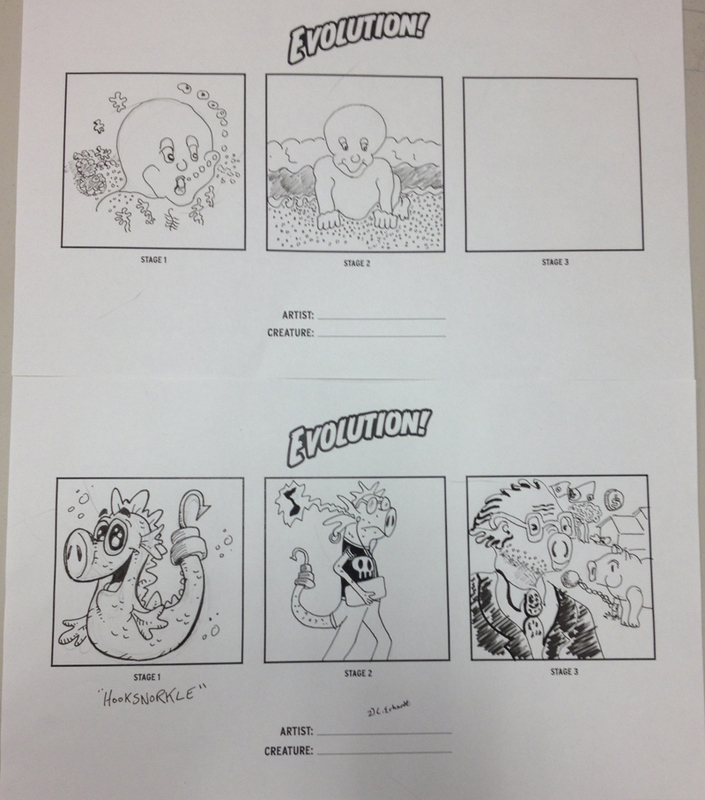 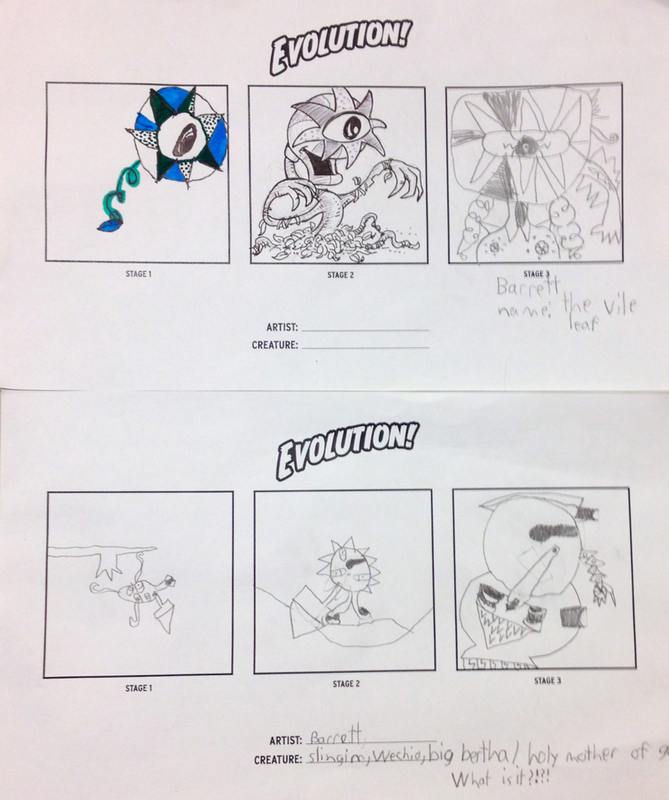 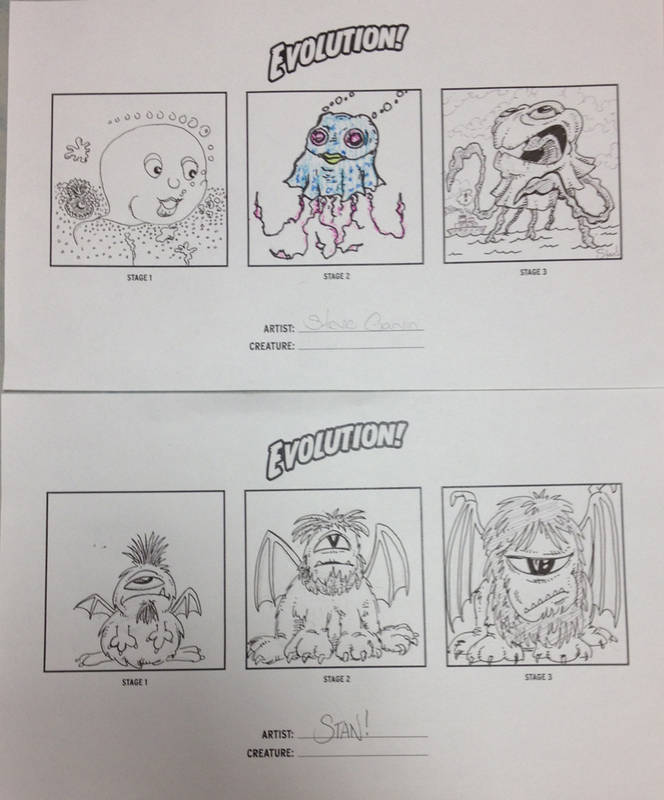 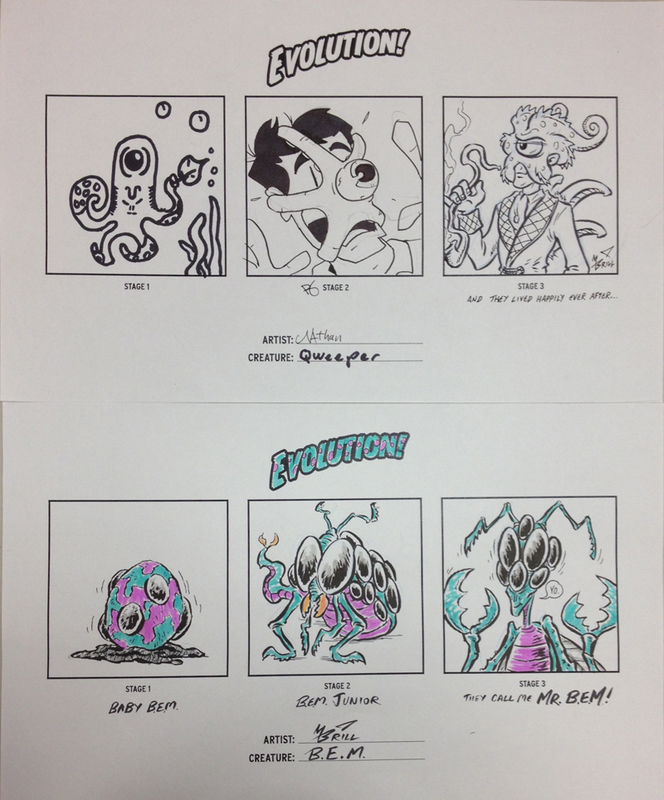 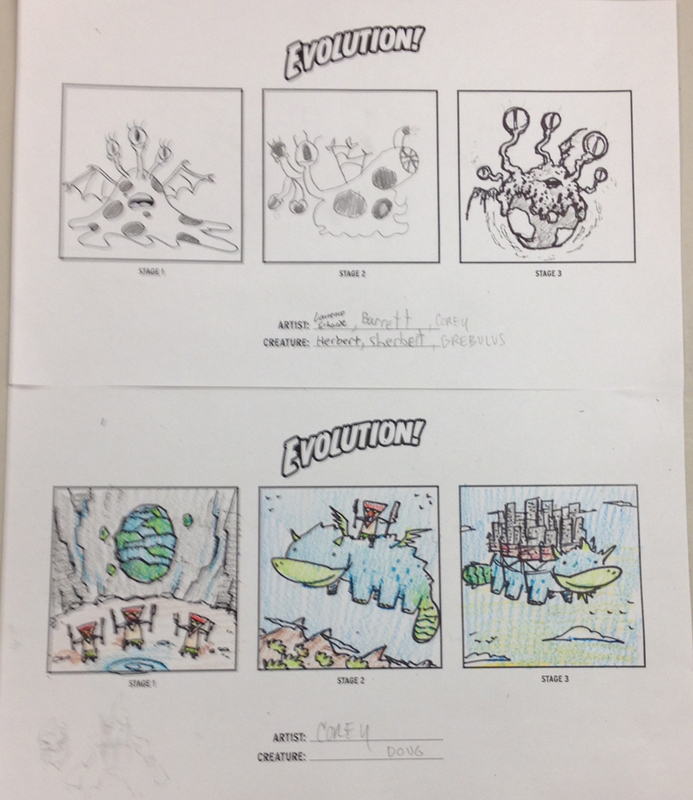 This month’s Open Swim was Evolution, wherein creatures were drawn at their various stages of development. 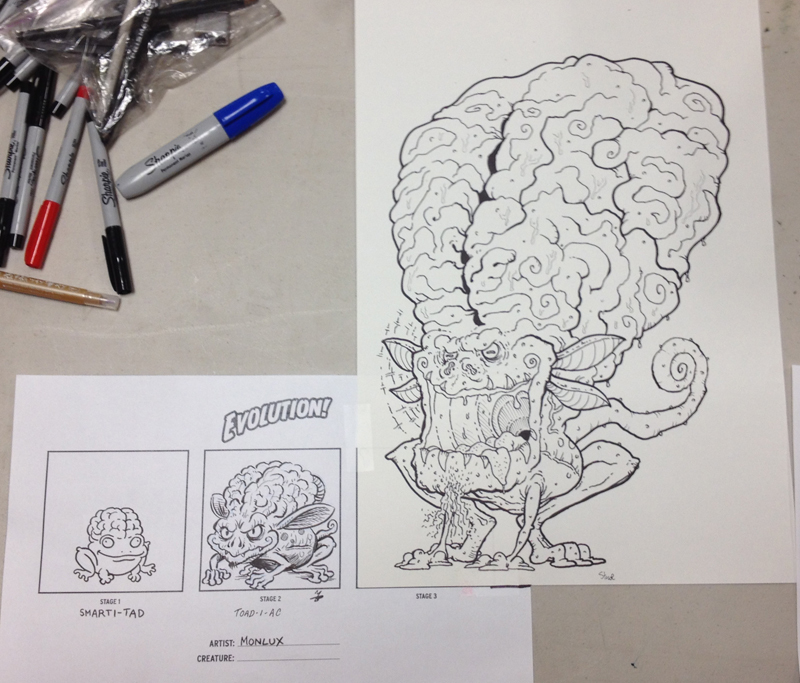 It was a rare all-ages event. 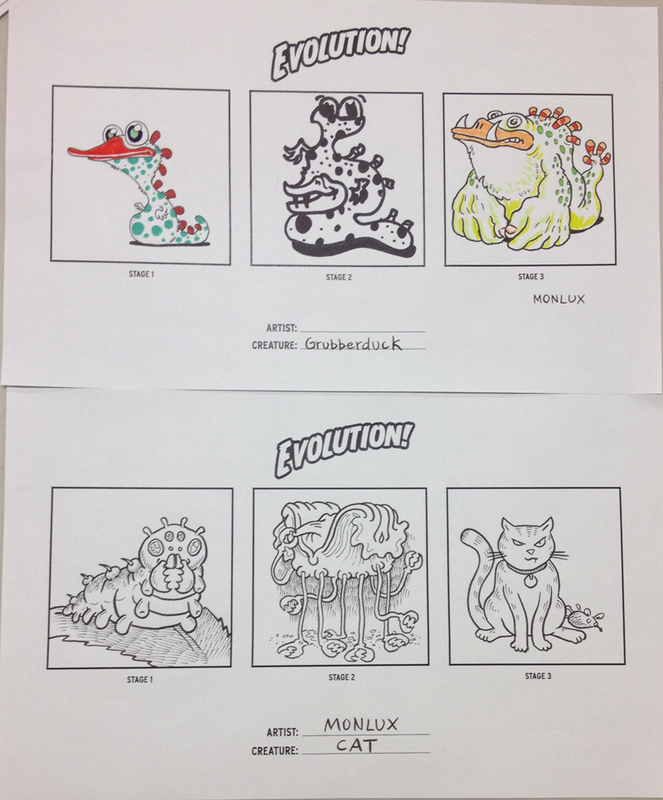 Voting was done for two categories: Group, and Individual. 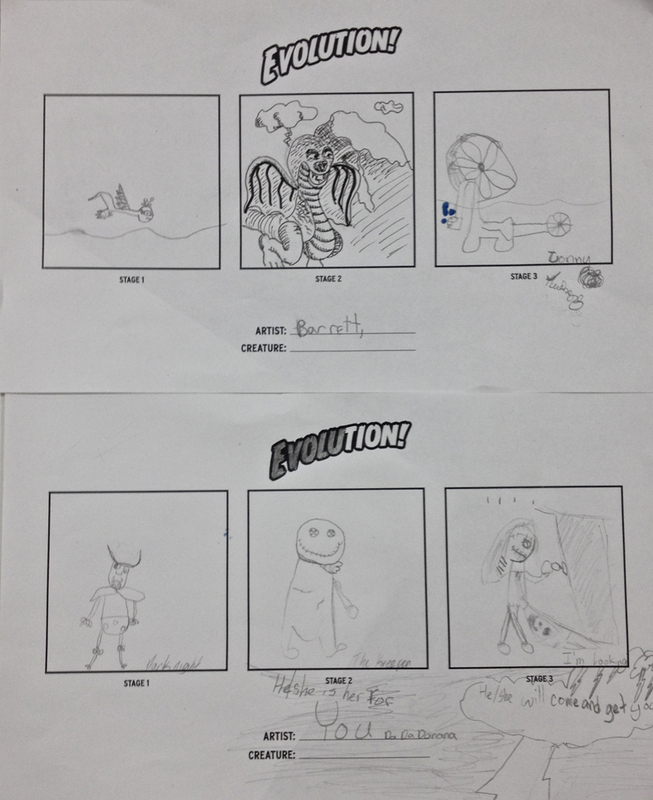 In Group, the three stages of life for one creature was drawn by three different people. 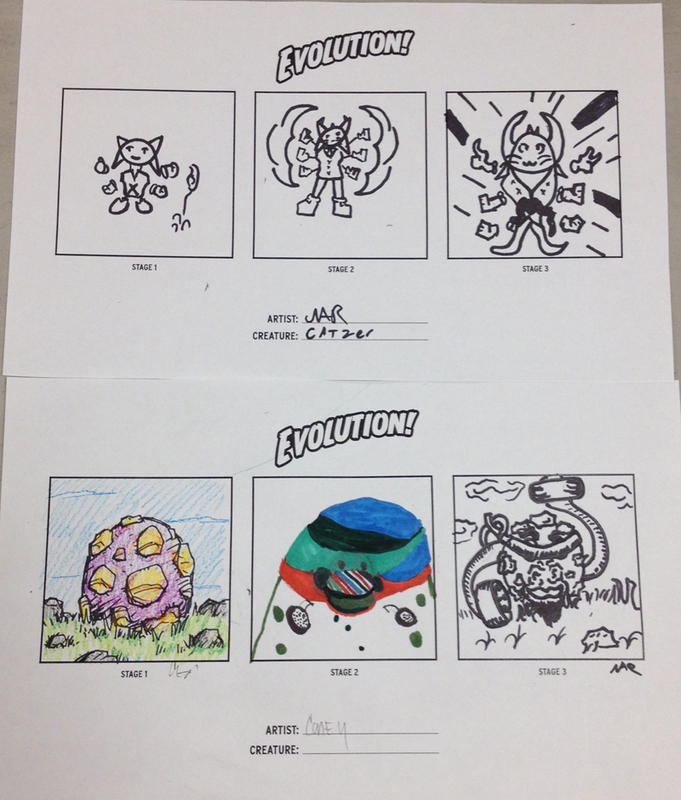 These were determined randomly by the Gamemaster. 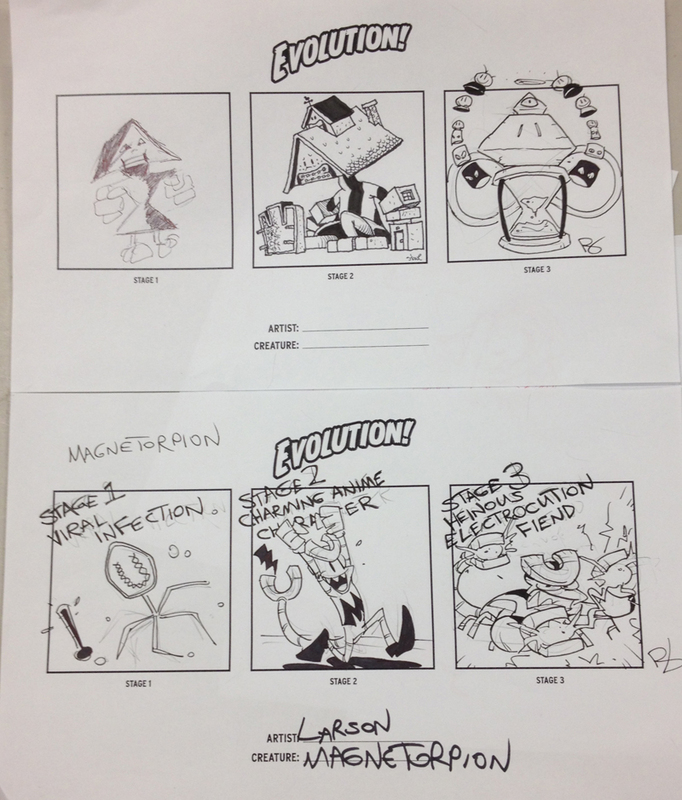 As you might have guessed, Individual had all three stages drawn by the same person.